The American speed skaters are not doing well at the Olympics, and the Under Armour suits might be the reason. According to three people familiar with the U.S. team, these suits–which were designed by apparel sponsor Under Armour and billed before the Games as a major advantage–have a design flaw that may be slowing the skaters down. These people said that vents on back of the suit, designed to allow heat to escape, are allowing air to enter the suit and create drag that keeps the skaters from staying in the “low” position they need to achieve maximum speed. One skater said team members felt they were fighting the suit to maintain correct form. Several of the skaters sent their suits to a seamstress to modify the panel, but it did not help. Heather Richardson finished seventh, which is the highest any American skater placed. 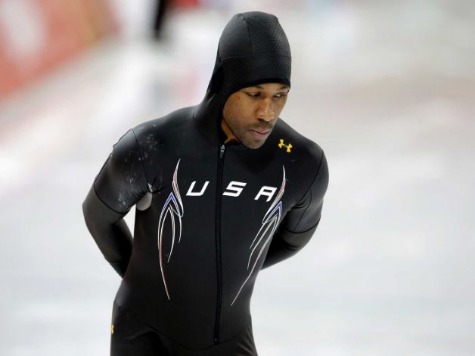 Two-time gold medalist Shani Davis was looking forward to being the first American to win a gold medal in three straight Olympics, but he placed eighth in the 1000m. He does not blame the suit, though. Davis will compete in the 1500m on Saturday. America’s Nike suits in 2006 affected the skaters, and the country changed back to older suits right before the games started. Peter Mueller, who won a gold medal and coached Bonnie Blair and Dan Jansen, said the suit does affect the skater. There is the speed aspect. And there is also the comfort side, which can affect a skater’s confidence. Mueller said he watched the race on television and had never seen Davis start so quickly. He couldn’t explain why he slowed down so much, but he thought the suit might have played a part.